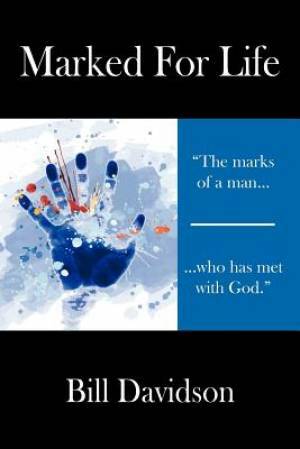 'In 'Marked for Life', Bill Davidson claims that encounters with God have but one purpose - 'Character'. Bill blends biblical narrative with his own experiences, from the profound to the hilarious. He's been enthroned in Westminster Cathedral, hosted by the Queen of England, welcomed by the Mayor of Paris and cheered by stadium crowds, but he is most at home planting churches in South American slums, in the abject poverty of war-torn Africa, at home with his family, or behind the pulpit of his local church in Upstate New York. Marked For Life by Bill Davidson was published by Outskirts Press in January 2010 and is our 55478th best seller. The ISBN for Marked For Life is 9781432749552. Be the first to review Marked For Life! Got a question? No problem! Just click here to ask us about Marked For Life.